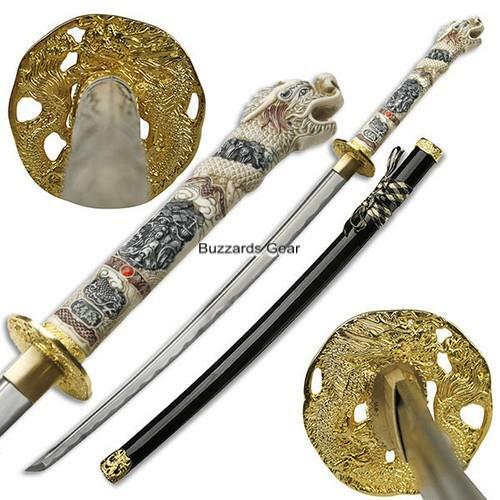 This item is the hand forged Third Generation Highlander sword from the movie Highlander. This hand forged Highlander sword comes with a wood scabbard with high gloss piano finish. Hand Sharpened Carbon Steel Blade. Blade is 1045 High Carbon Steel and is FULL TANG. Gold Dragon tsuba and Faux Ivory, Poly Resin dragon handle.